This is Part II of a two-part series on Ugandan street children and the work of Good Future and Hope Foundation. The drive to Kampala was slow. The main road to the capital took us through several villages, where both sides of the street were flooded with an amorphous mass of souls, sounds, and smells. Countless sellers hawked their wares; varied collections of shoes, bed frames, electronics, and other sundry items lined the streets. The more robust retail establishments had a blanket under their merchandise; some even had a few pieces of ill-fitting wood supporting a corrugated tin roof and small kerosene lanterns illuminating their goods inside. Others had LED lamps. With no street lights, these small luminescent globes were all that brought shapes and faces out of the shadows. Viera and Hannes of Good Future and Hope Foundation often drive into Kampala at night to help street orphans start better lives at the orphanage. Photo credit: Hendrik Terbeck. For most of the ride, no one spoke, each of us consumed with the uncertainty that lay ahead. Were we really going to walk around downtown Kampala at night? The driver popped in a CD of songs performed by a chorus of children from the orphanage. Before Viera and Hannes came to Uganda, selling music was a primary source of income to support the orphanage; one of their songs had actually been a hit on Ugandan radio. 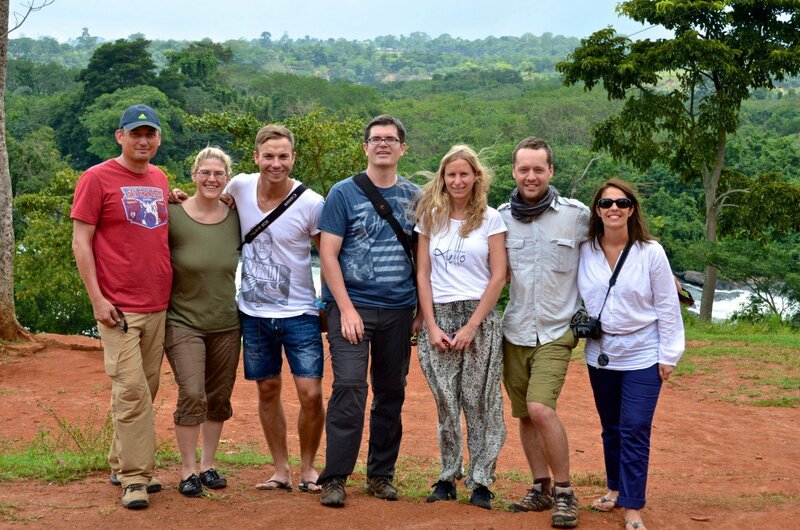 When we finally arrived, I jumped out of the van into the streets of Kampala, exhilarated. The smell of car exhaust and dust filled my nose. Even at eight in the evening, the streets were crowded and vendors were out in force, hoping for one last sale. The congested traffic flowed with relative ease. Though our group of foreigners stood out, we attracted no more than a few curious glances. After an uneventful walk from the van to the nearest street corner up the road, I relaxed slightly. The first child we walked by could not have been older than four. She or he—I couldn’t tell which—sat cross-legged in the middle of the sidewalk, hands held up to form a cup. A dirty ragged shirt hung off the child’s shoulders. Too dark to make out a face, we passed by like everyone else. The next child was similarly sprawled out on the sidewalk, no more than 20 feet from the first. This one caught Viera’s attention. She told us to stand back while she spoke to the girl. From a distance, we watched Viera kneel down. Viera smiled and the child smiled back. Then she put up her hand and gave Viera a high-five. Passersby, if they bothered to notice at all, glanced briefly at the strange sight then continued on. Most people just flowed by like a river does around rocks. Viera acted as a big boulder shielding the small child from the passing current. I nervously scanned around to see if anyone was looking at us, or them, with more than just passing interest. No one seemed to care. SAP Social Sabbatical employee volunteers and Daniel of PYXERA Global worked with Good Future and Hope Foundation to provide for Ugandan orphans. As I glanced back to Viera, tears suddenly formed in my eyes. I thought about the incredible difference Good Future and Hope Foundation is making in the lives of so many children. For them, this was an average night, driving around the streets of Kampala looking for orphans. I thought about what I did most nights back in the United States and a pang of shame shot through my stomach. “Your wife is a saint,” I said to Hannes. He smiled and looked down. I thought about the incredibly fortunate children the Foundation saved from their lives on the streets, and about the countless others in Kampala, in Uganda, on the continent of Africa, and around the world that would never be so lucky. Like washed up starfish on a moonlit beach, those children would never to be picked up and thrown back into the ocean. I thought about the good fortune of my two-year-old son, nestled safely in his bed at home. Viera chatted with the small girl for a few more minutes, then got up and walked back toward us. “That’s Esther,” Viera said. “I have been looking for her since December.” A few weeks prior, Esther had been picked up by “the bus,” a government vehicle that makes a sweep through the city every few months, picking up street children and dropping them off several hours outside the city in a loosely guarded holding pen. Most children try to make their way back to the city to the only life they know. Some die in the process. 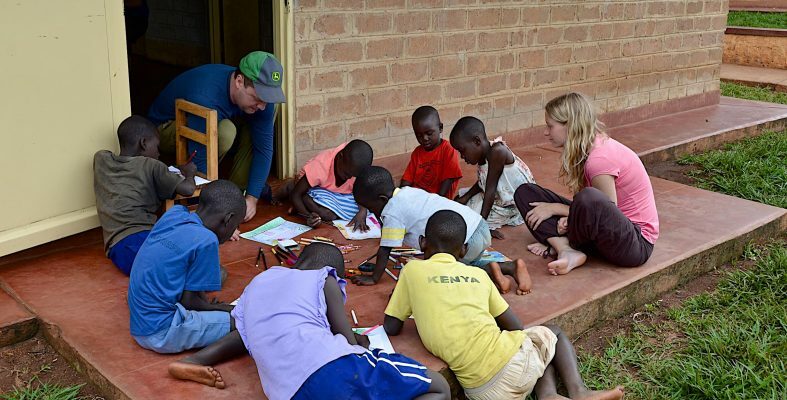 The Kampala Capital City Authority has several programs in place to help street children and foster youth development, but the scale of the task is monumental. And like any other local government authority in the world, resources and time are in short supply. Ugandan street children are often picked up by a government vehicle and dropped off several hours outside the city. Most children try to make their way back to the city to the only life they know. Some die in the process. “Are we going to take her?” I asked. We were walking briskly now, up a steep hill towards another area of the city where street children often congregate. We passed a guard slouching in a plastic lawn chair with an AK-47 across his lap. I couldn’t tell exactly what he was guarding—the locked gate behind him had no sign. I ducked, just barely avoiding hitting my head on a sign advertising assistance for applying for American Visas. “Musungu,” a man said as he walked by me. White person. Currently, the compound has four houses that will eventually hold eight. 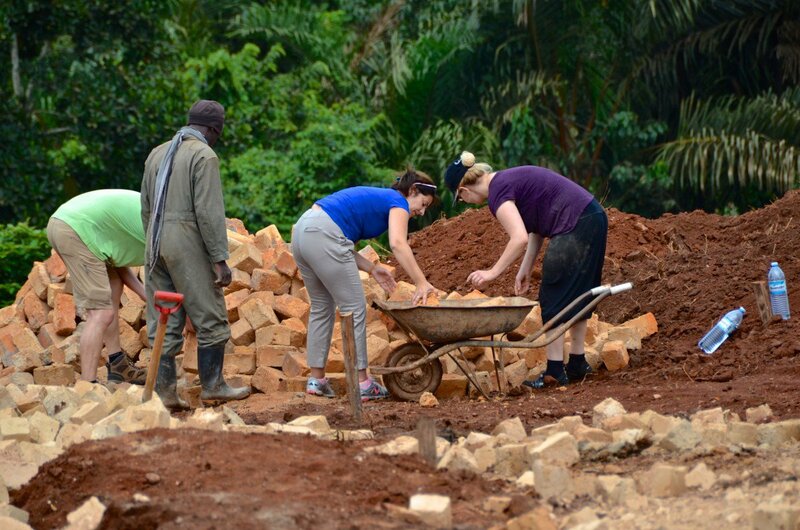 Viera and Hannes are also building a school and housing for teachers, a computer lab, and a medical clinic. Every trip to Kampala is a journey down this tenuous path, the promise of a chance meeting that could result in one more child leaving their life of homelessness for a brighter future. As we got back on the bus, the group reflected on everything that we had seen. 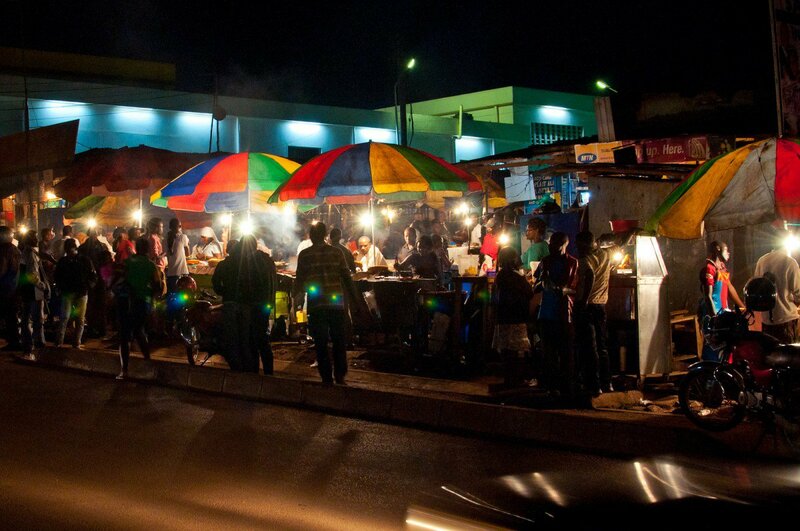 Almost everyone noted that the streets of Kampala at night were not nearly as frightening as they had expected. The Foundation’s future plans are ambitious and expansive. Currently, the compound has four houses in a circular layout that will eventually hold eight, mirroring how Ugandan society lives. The shared space provides community; the house mothers provide the children a sense of belonging to a family with their adopted brothers and sisters. 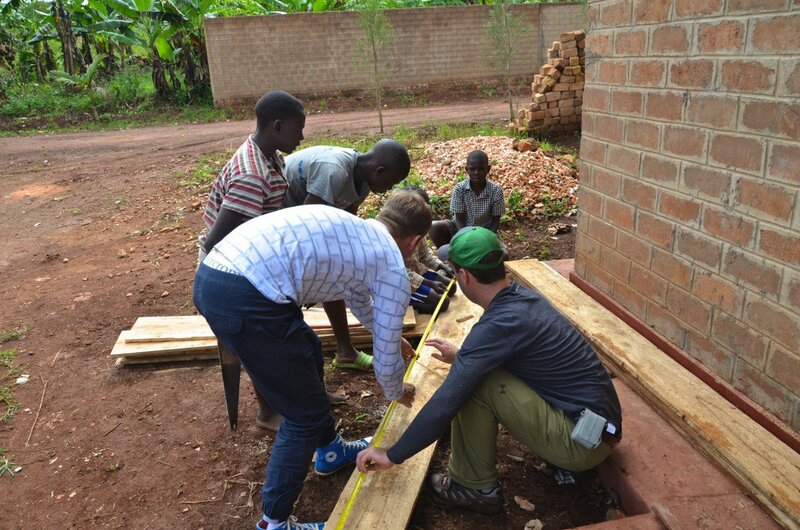 Viera and Hannes are also building a school and housing for teachers, a computer lab, and a medical clinic. The foundations for the school buildings are already in place. If all goes according to plan, the school will be open in time for school registration this spring. Yet, in order to attract local parents to send their children, and more importantly, pay the school fees, the school needs a communications strategy. Additionally, the computer lab is overdue for a needs assessment to decide what hardware to request from potential donors. To fill these gaps, the CSR department for SAP’s Europe, Middle East and Africa will send a team of seven communications and IT experts to Uganda this year, leveraging their professional expertise to establish a communications strategy and assess the IT requirements for the Foundation. The company has also started a fundraising drive to engage the SAP EMEA employee community to support the Foundation. This project is a byproduct of SAP’s growing commitment to making a difference in international development. Along with SAP’s Social Sabbatical and Engaging for Local Impact (ELI) programs, the company is putting their talented employees at the forefront of meaningful global engagement projects. SAP places its talented employees at the forefront of meaningful global engagement projects with its Social Sabbatical program and Engaging for Local Impact (ELI) projects. The day after our evening excursion, we milled around the village square area in the central part of the orphanage. The afternoon rain had just passed and a glorious golden sun washed over the landscape. Kathryn from Germany and Miro from Slovakia continued helping the children with some drawings they were doing for a fundraiser in London. Claire from France was shooting a few more photographs that she’d share with her own children back in Paris. The cows noisily made their way back from the fields, and some of the orphans took turns pushing each other on a small, metal scooter. As I prepared to return home, I felt energized and proud of the small part I would play in helping these children. Orphanages funded and managed by generous hearts like Hannes and Viera, however, will never clear the beach of all the starfish. Significant changes in the lives of all orphans will require institutional and foundational shifts in how society addresses the challenges they face—the lack of educational opportunities, medical care, and nourishment required to lead healthy and productive lives. But for Hannes and Viera, and the children at Good Future and Hope Foundation, their lives have been transformed for the better. I asked Viera what she would tell herself if she could reach into the past, before she began this journey—an unexpected phone call to warn herself about what was to come. Don’t miss the first part of this two-part series here.